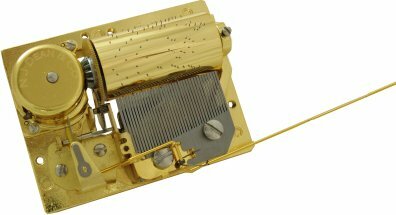 This beautiful sounding 36 note spring wound musical movement has been specially made with the Davy Jones & Tia Dalma musical locket theme tune played in the film Pirates of the Caribbean. This hand made movement gives a lovely rich tone on the 1 5/8" cylinder. Comes with winding key. For more information on the musical movements, please click here.